Holly Gursslin received a Master’s in Counseling Guidance and Education from the University of Hawaii at Mañoa. She earned her professional licensing as a Licensed Professional Counselor (LPC) and obtained her Supervisory status in 2014. Holly’s career interests started with direct service crisis counseling to suicidal individuals and working to improve mental health programs that weren’t seeing success in their current formatting. She assisted in several states, nonprofits and for profits before being recruited to Texas for the same reason. 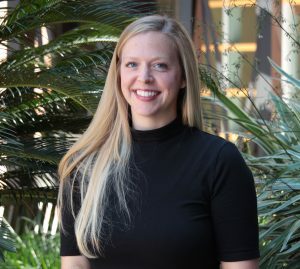 Since moving to Texas her career aspirations advanced to program implementation evaluation, guidance, research, and systemic support for mental health of children and families. Other career interests include participating on state-wide boards for children’s initiatives and providing clinical supervision to aspiring LPC-Interns. Research interests include the effects music can have on depressed children and youth in the healing process, as well as, evaluating the impact of financial class on social status. Holly enjoys spending time with her family, playing cards, traveling, hanging out with her puppy, and riding motorcycles.